INASP is known for strengthening the research and knowledge systems. For almost 25 years, we have been working with different part of this system so it can function as a whole: librarians, publishers, researchers, academics, IT services and their institutions in many countries. 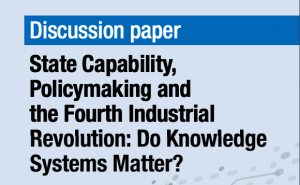 More recently, since 2009, we have been incorporating a further key component of the research and knowledge system: the policymakers and other users who need access to knowledge to make better decisions. Our experience has shown us that those who demand research and knowledge play a crucial role in shaping how the system works. This also means dealing with those who shape the ‘rules of the game’, so influencing these stakeholders also became a real important part of our work. We started calling this strand of work ‘Evidence-informed Policy Making’ (EIPM), which under INASP’s new strategy sits under the ‘use’ part of our vision of supporting the production, share and use of research and knowledge. We started by carrying out small pilots through which we learned how to work with these ‘users’. 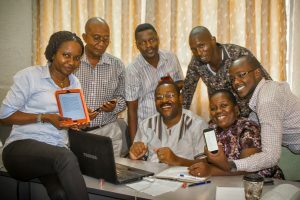 So, for example, we worked with the research department in the Parliament of Uganda, which needs to use research and knowledge to support MPs and committees, we started exploring what are the main skills, knowledge and attitudes that these people needed to better handle research. These are mainly about searching strategically and effectively for evidence, appraising it critically, synthesizing and communicating it. In 2013 we were able to deepen this work by winning a big project as part of DFID’s Building the Capacities for the Use of Research Evidence programme. 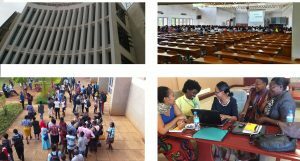 Since that time, the so-called VakaYiko project has been working deeply with partners in four African countries and also providing grants for a further eight projects across Africa, Asia and Latin America. The most valuable thing about VakaYiko is that it enabled us to try out different capacity-building approaches and identify new ideas and tools to incentivize the use of evidence (read more about our approaches here) It also allowed us to understand better how public institutions work and combine the strengthening of individual core skills to addressing wider organizational constraints that these institutions deal with. 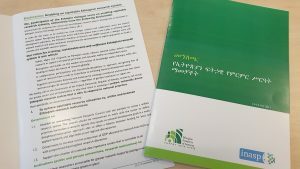 Two major tangible outputs have been released recently: our evidence-informed policy making toolkit and an organizational analytical framework, the former tool helps policymakers and their staff to develop and strengthen skills, knowledge and attitudes to improve the way they use evidence. The framework helps policymakers identify what are the organizational factors that influence how they use evidence. But the project has gone much deeper than published outputs. 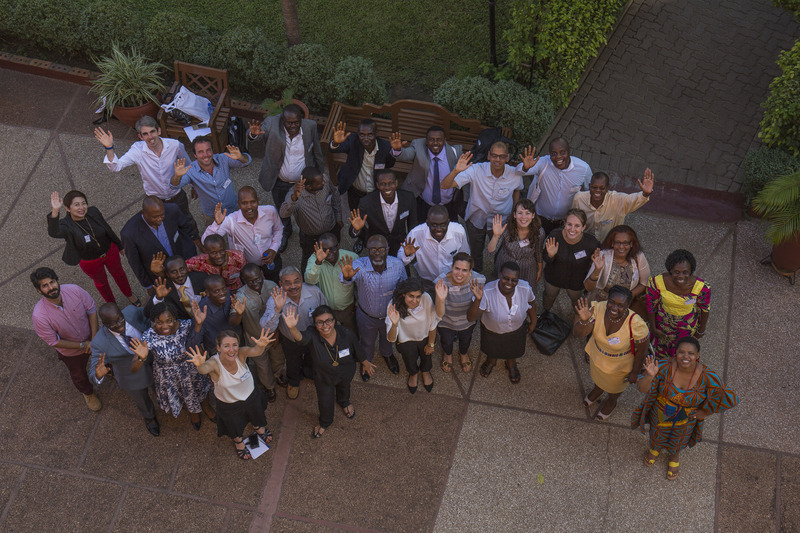 In Ghana, we worked with the Civil Service Training Centre, aiming to help incorporate an EIPM course in their curricula. Throughout these past few years we worked with this institution to help it develop and incorporate the course and support its trainers. In Zimbabwe, we were able to work closely with ministries and parliaments to help them develop their capacities to use research. In South Africa, we also worked closely with a governmental department and helped it adapt its organizational processes to handle evidence more strategically. We followed our very dear values in INASP of working and strengthening local organizations that can do this work in the future. This is why we chose to work as a consortium, making sure we were developing local CSOs on the way, so that they can support this type of work in the future. Continue to train decision makers and support staff of government departments, parliaments and other public bodies to access, appraise and use research and evidence systematically. In order to link this up with the rest of the system, we will continue to incorporate knowledge producers and influencers in the activities we undertake. For example, if we are running training workshops, we invite speakers or facilitators from universities. We will continue to support alternatives ways of learning that encourage peer assistance and cross sectoral sharing, such as mentoring and job shadowing between researchers and policymakers. We have focused a lot in the past on the individual skills, knowledge and attitudes that decision makers and their staff have around knowledge and research. Whilst this is still an important focus in our work, taking an organizational approach to the use of evidence is fundamental for long-lasting change. This means looking at institutional processes, policies and ways of working regarding the use of evidence. This means sometimes help organizations think how to develop some organizational practices that work for them to facilitate the incorporation of knowledge in a systematic way. Since users are part of the research system, we will continue to promote dialogue between national decision makers and their citizens to ensure effective production and communication. Building trust between different communities so that knowledge is shared, research answers policy relevant questions, create collaborative work and improves the debate of policy issues, giving voice to everyone, is a key aspect of our work which we will enhance. To improve the system means making these links stronger, supporting different types of institutions, constructing partnerships based on trust, like NGOs and knowledge brokers to stimulate the use of knowledge locally, according to their needs and priorities.